um. lifetime movie network is CONSTANTLY playing christmas rom coms and i’m in heaven. i was sort of mad because the netflix array is pretty subpar this year I feel. My tree’s been up since the night before thanksgiving. SO WONDERFUL. also, my mistletoe candle has been burning for the past two days and it makes me SO HAPPY. truth: i just asked frankie if he’d kill me if i wanted to just stay in this whole night and watch these christmas movies…. he didn’t EXACTLY say no. 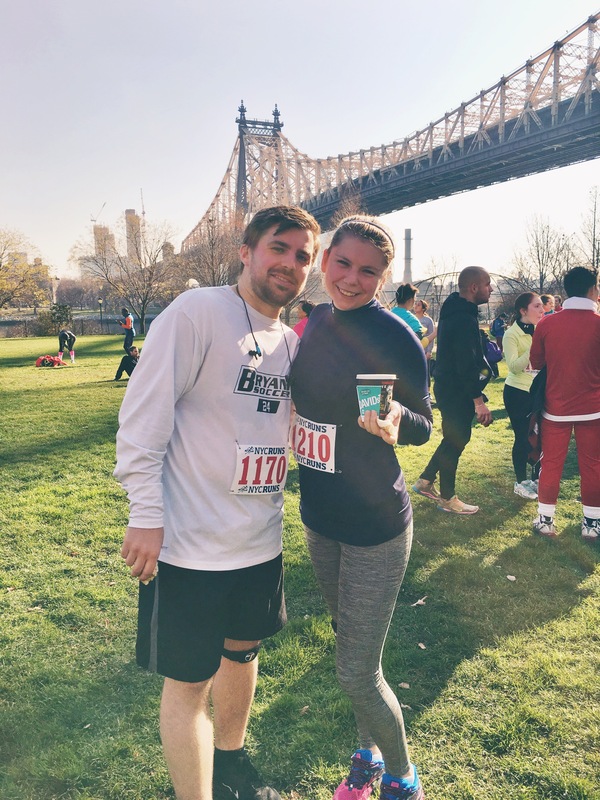 we ran another 10K yesterday! i came in 7 seconds faster than my last time. soooOOOoo exciting. side note: the last two races we’ve gone to have had the BEST bagels at the end. so good. i love this. and its a nice guide to have around christmas dinner time! can i tell you how excited i am to see sisters with Amy & Tina? it looks HILARIOUS and it has morgan from the Mindy Project! such a good cast. TV. sooo i think we’re caught up on everything. |quantico | STILL LOVING IT. i didn’t expect alex to go that route. i hate liam (but i’m glad he’s finally on the right side). i love ryan. | scandal | actually, now that i’m thinking about it we might not have seen this week’s episode. I’M SO GLAD THOUGH THAT THE OLITZ REIGN IS OVER…. for now until they irritate me again and bring them back together. also i really want liv and mellie to be friends. REALLY BADLY. i’m desperate for an ugly christmas sweater… i really am. i don’t know why. stop it. this is great.